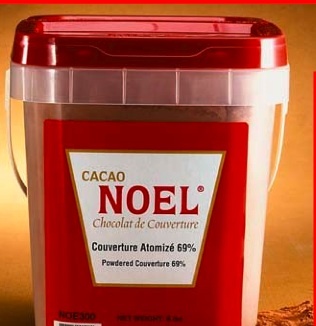 An incomparable and extraordinary chocolate providing easy to work with couvertures. Noted for beautiful color, shine, texture and balance. 100% Columbian origin, and Kosher. 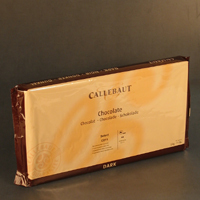 Callebaut Belgian Chocolate, Dark Chocolate Extra - Bitter BLOCK is a strong dark chocolate with a high cocoa content of 70.4%. 3 drops. Dark Chocolate, extra bitter callets with a high cocoa content of 70.4%. Made in Belgium. 54.6% Cocoa mass. Belgium premium Callebaut chocolate. 3 Drop. Belgium premium Callebaut chocolate. 3 Drops. Belgium Milk Couverture Blocks, 33.6% Cocoa and flavored with Natural Vanilla. 2 drops. White couverture made from pure cocoa butter. Flavor profile: rich cocoa butter with hints of dairy cream.